The company has launched 4 models; 3 semi-automatic washing machines and 1 fully automatic washing machines priced between INR10990 and INR19990. 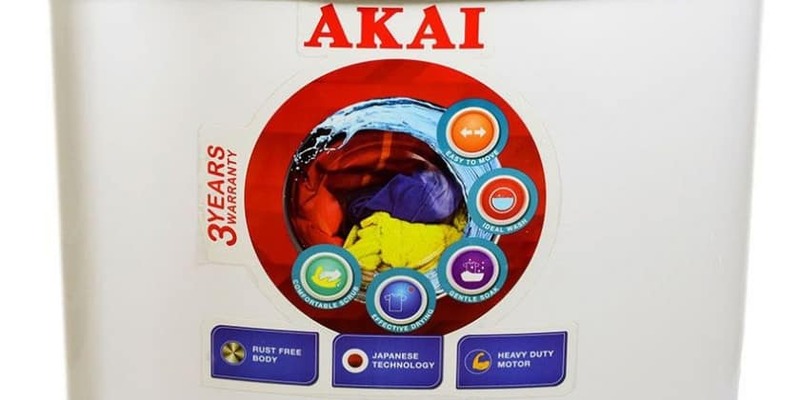 With this launch, AKAI ensures to offer more durability, energy efficiency and a great washing performance to its consumers and foresees to upsurge its offering in consumer durable and home appliances segment. The new series comes with four models,available in attractive colors such as red & blue.Itboasts of features such as multi wash programs, powerful wash motors to give turbo wash and dual waterfall technology for hand wash effect. Being lightweight, long lasting and built with all ABS body, the washing machines are crafted from specially molded polypropylene to handle extreme washing conditions. AKAI launches new range of semi-automatic and automatic washing machines 0 out of 5 based on 0 ratings. 0 user reviews.